Dom Cobb specializes in a very specific form of information theft involving infiltrating the minds of people and "extracting" ideas. However, when a powerful business man asks him to plant an idea into the mind of one of his competitors in exchange for a clear criminal record, Cobb reluctantly agrees and a multi-layered race ensues. I had planned on reviewing this film the night I saw it so I could end Christopher Nolan week properly, however, I hit a little snag. The only way to properly end Christopher Nolan week was to let this film gestate in my brain for a couple of days. 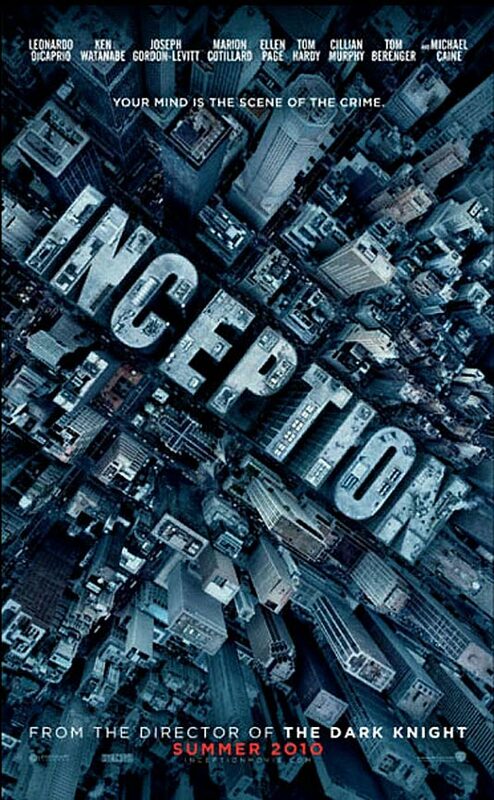 Inception was one of the most powerful movie going experiences of my life. I remember standing in line waiting to be let into the theater and literally shaking in anticipation. After the film started, my adrenaline kicked in for the entirety of its 2.5 hour runtime and did not stop until long after the last frames of the film were over. 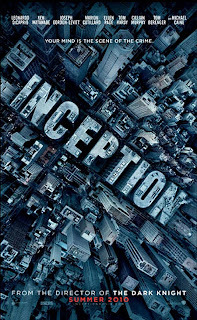 Inception is a ticking timebomb of a film in the most literal sense imaginable. The overall Nolan themes are here; redemption, atonement, control and chaos etc. However, this is by far Nolan's most visual arresting, pulse pounding film. The visuals are simply stunning and have some of the greatest action sequences I have seen committed to celluloid in cinema. The hallway scene must be experienced to be believed. Add to that the fact we saw the IMAX experience and it was nearly overwhelming. When the film ended we were all exhausted from the ride, but we would do it again in a heartbeat. Fortunately I have, and it is definitely one of those repeat viewings that is demanded. Nolan has created an incredibly intelligent film that demands your attention and respects you as an audience member. Though the dialog is filled with jargon and exposition, the hints are so subtle that if you miss a line, you've more than likely missed a key plot point and at no point is it ham-fisted. There is not a single second of wasted film here, all roads meet up at the challenging ending, leaving you breathless, pinned to your seat and for this reviewer, nearly in tears of joy and sorrow for the journey we took with these characters. Every single actor here turns in the performance of their careers and have incredibly chemistry with each other. Special mention to the wonderful Tom Hardy, who I would love to see carry a film by himself next time. Perhaps as a certain British spy? The amount of gushing about Inception could go on for days, but I will leave you with this. Inception is one of the rare films that commands your attention for its duration and if you willingly hand over your mind for it, you will not be disappointed. Nolan is a master of the craft and will be for many years to come. With a canon full of masterpieces, it will forever be these films that shape my passion for cinema. Movies for movie lovers is the business of Nolan, and I wouldn't have it any other way.